In most cases, blocked drains are caused by throwing items that cannot be dissolved into your drain. Lots of people think that liquids are safer on plumbing because it’s in your house but you will be surprised to learn that there are many everyday products and liquids that can cause major problems in your plumbing. Here are household items that do not belong in your drain. Toilet paper is designed to be flushed down the toilet since it breaks down when it comes into contact with water; however, other paper objects are more durable, and instead of dissolving in your drain, they tend to block up the pipes, and this increases the probability of sewer backup and ultimately overflow. And if this happens, you’ll need a lot more paper towels to sort it out. Over time, any type of cooking fat will create a build up and lead to a blocked kitchen sink as well as blocked drains. Some of these items may be composted however they may also attract animals. There are several options for better disposal such as community center recycling as they accept this compost for bio-diesel purposes. Our plumbers know that it’s not realistic to think that people can keep every strand of hair out of the bathroom sink, or shower drain. However you should avoid throwing bunches of hair down your drain to the best of your ability. The same applies to dental floss since both hair and dental floss can stick to the inside of your pipes on their way down and ultimately cause a blockage. Although it’s common sense to most people that diapers do not belong down the drain, you may be unpleasantly surprised at how many people actually consider and actually throw diapers down the drain. The same goes for feminine hygiene products. Once these products get clogged in your drain, a plumber will have to be called. Unfortunately, this is not a problem that a plunger can dislodge. In lots of cases, diapers and feminine hygiene products tend to get stuck deep into your pipes, and a professional may actually have to tear up your lawn to fix the problem. Lots of people are under the perception that coffee ground and eggshells belong in your garbage disposal. However, the opposite is true. These items often cause clogged drains and build up a blockage in your plumbing that could end up causing you a lot of damage and cost you a lot of money in the long run. Therefore it is advisable that these kitchen scraps are composted instead. Believe it or not, lots of people pour paint down the sink. Under no circumstances are you supposed to pour paint down your drain. Instead, you should take it to your local community recycling center as it can negatively impact the ecosystems and the water supply in your community. Although cleaning products are designed to clean your surfaces inside the home, many of them contain harmful chemicals and phosphates that ultimately affect the environment negatively. Some of these products combine in your drain and create a corrosive substance that eventually weakens your pipes. So as you can see, it counts to use your discretion when it comes to what items to dispose of through your drain and what not to. Our plumbers in Ladera Ranch encounter a lot of home owners who are simply unaware that certain items can be harmful to plumbing, so we hope this article helps to prevent some future plumbing problems. It’s an unfortunate reality that a lot of southern California homeowners are very familiar with what a slab leak is. For those of you who have not had the misfortune of running into one, we’ll explain it briefly. Slab leaks are simply leaks that have developed in the copper water lines running below the steel and concrete slab foundation of your home. Slab leaks can occur both on the drainage and the pressure side of your foundation. If the leak occurs on the pressure side, it can be detected relatively easily and quickly. On the other hand, the leaks on the drainage side are much more difficult to detect and a considerable amount of time may pass before you catch a hint of it. However, whatever is the case, slab leaks can cause a host of problems including steep hike in water bills, mold and termite infestation and most importantly, serious damage to your foundation. In an effort to help homeowners minimize the damage that these types of leaks can cause to their home, our plumbers in Ladera Ranch have put together a list of tips for detecting a slab leak early on. If you find that your water bills have gotten up a good few notches all of a sudden, this is another sign of a slab leak. Some other signs of slab leaks include faint rumbling sound of running water of undetected source; an improperly functioning toilet, showers or tubs; a strong moldy odor around the house. All of the above issues may not always arise from a slab leak, nevertheless it is always wise to give a call to a leak detection specialist if you notice any of these signs. Slab leaks, if left untreated, can lead to serious and expensive damages to your whole house and foundation. First, make sure that no water pipe is in use. That means all appliances using water are turned off, no faucets are running and so on. Now head outside and have a look at your water meter. If you find that the dial of the water meter is still moving, then it is highly likely that you have a slab leak somewhere in your home. Again, make sure no water pipe is in use and check the reading on your water meter. Keep things as they are (that is, all pipes turned off) for at least half an hour and take the reading again. If there is an increase in the number, this is a sign of a water leak. Some advanced water meters come with built-in leak detectors which makes the task easier for the homeowner. If the detector (typically, a small wheel or a triangle) is moving or spinning, you’ll know you have a leak somewhere. Examine under your carpet and if you find too much moisture or mold, this is a sign of a potential slab leak. The same goes with cracks on your tile floors and walls or baseboards. As the leak happens, the water pressure underneath your foundation changes and this in time can cause the whole foundation to shift. And that can result in cracks in walls or floors. The best way to check for these is doing a regular inspection of your basement. If a leak occurs, the basement will get damaged first. Use a water pressure gauge to check the water pressure of your home from time to time. Screw the gauge onto the faucet that is in front of the house and from where the water comes into the house. While performing this test, all water faucets and water using appliances must be turned off. If at any time, you notice that the water pressure has gone too low from what is normal, you may be certain of a slab leak on your home. A burst water pipe is an obvious sign that you need to call an emergency plumber right away. Other signs, however, may not be so evident. By becoming familiar with warning signs of potential plumbing problems, you can reduce the risk of serious water damage to your home. When it comes to plumbing, it’s better to err on the safe side than be sorry. If not taken care of, small plumbing issues can become major problems that cost thousands of dollars to repair. Call a plumber immediately if you notice one or more of the following warning signs in your home. If you hear a gurgling noise coming from your toilet, shower or dishwasher when not in use, this could be an early warning sign of a seriously clogged drain that could cause a backup. As water gets trapped in the drain, it makes this gurgling sound. If the problem’s not rectified quickly, you risk having water back up into your home and cause a flood. When you hear gurgling sounds, turn off your main water valve and call a plumber immediately. Although it’s normal for a drain to get clogged every now and then, drains that are constantly clogging will continue to cause problems until a permanent solution can be found. If DIY measures aren’t working, call a plumber to get to the root of the problem. You may need to reline or replace old, corroded pipes to keep them draining as they should. If you notice a foul sewage or sulfur smell around your home, a sewer pipe may have broken beneath your house. This problem needs to be taken care of right away to avoid damage to your foundation. If anyone suffers from allergies, asthma or bronchial problems in your home, the smell alone can pose a risk to their health. 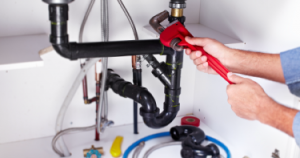 It’s best to call a plumber immediately to investigate and rectify the source of your problem. Slab leaks are water leaks that occur when corroded water pipes spring leaks or burst under your home. Left unchecked, slab leaks can cause untold damage to your home’s structure. Ceiling stains, persistent wet spots on cement, damp carpeting and warped hardwood flooring are just a few telltale signs of slab leaks. If you suspect you may have water leaks in your foundation, it’s crucial to call a plumber in Ladera Ranch right away. Low water pressure on a consistent basis could be due to a cracked or corroded pipe where water is leaking out. Fractured pipes can also be the source of your household running out of water when you least expect it as your water tanks are emptying at a faster rate. Loss of water pressure or running water can wreak havoc in a household, making daily activities such as cooking, bathing and clothes washing more difficult. You’ll also be paying more for water consumption and electricity to heat new water to replace the hot water that’s leaking out. Water leaks can cause moisture buildup in your home, resulting in the growth of mold. Mold is not only unsightly but can cause any number of health problems. If you notice mold growing in damp areas of your home, call a plumber to check for water leaks and get them fixed. Even small water leaks can cause mold growth over time. A plumber can help repair water leaks to nip this problem in the bud. 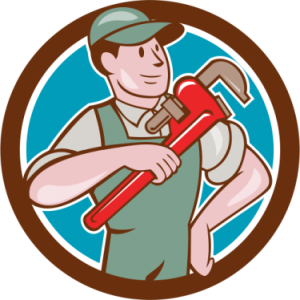 Working with a qualified plumber in Ladera Ranch can save you time, money and frustration in protecting your home. Sewer systems all over the globe are fighting a new menace; disposable wet wipes. In recent years, these wipes have begun creating clogs in both house pipes and municipal sewers. Fixing these issues is costing a great deal of money, and some people have filed lawsuits to put pressure on manufacturers. Lawmakers are also in talks to introduce legislature to regulate the products and reduce local government expenses. The Department of Environmental Protection in New York is among those pushing for regulation. It is currently spending $10 million annually just to manage the cloths trapped in the sewers. With the demand for wipes growing 7% per year, the DEP hopes that this intervention can mitigate the problem before it’s too late. According to our plumbers in Orange County, even the disposable wet wipes that are marketed as being “flushable” should not go down your drain. 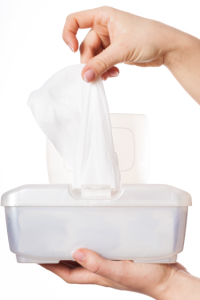 “The problem with wet wipes is that it could take them weeks or months to disintegrate, where as normal toilet paper will disintegrate in a matter of hours. The clogs that we’ve seen from wet wipes can be very expensive to repair. If you feel like you need to use them, we recommend throwing them in the trash instead of flushing them” said one emergency plumber in Ladera Ranch. Some consumers are aware of the issues but they may not be properly equipped to handle the matter. There is much confusion over the materials that can be flushed down the drains and those that can’t. The marketing language used by manufacturers makes things even harder to distinguish. Companies are conscious about the demand for disposable wipes so some label their products as “flushable”. They may do it to boost sales without any solid proof for their claim. Shoppers purchase these thinking that they are being responsible, but they end up contributing to the chaos, and potentially damaging their own plumbing. Some international trade organizations have sought to clean up their own ranks by publishing a voluntary code of practice. This encourages manufacturers to mark non-flushable wipes with a clear “Do Not Flush” logo. While laudable, the vagueness of the code has allowed companies to take shortcuts. The absence of an assigned area means that the logo can be placed anywhere. Some choose to put it at the back. Others hide it beneath the flap or in the fine print. A bill in New York aims to stop these deceptive practices. Instructions will have to be more prominent. Nonfactual claims will be fined. The lawsuits launched against manufacturers are making the industry take labelling more seriously. No one wants to have a bad reputation and pay hefty fines if these are avoidable. Legal restrictions are also being eyed in a number of states. However, the industry has strong lobbyists that frustrate the efforts. Finley is not convinced that government regulation is the way to go given the sluggish process. Bills take time to pass and implement. They are also hard to change. These aren’t ideal when dealing with such a dynamic industry. Donovan Richards, a New York City Councilman, has a different take. He does not believe in self-regulation as companies have been sluggish in dealing with the problems. Both agree that public awareness needs to be raised in order to achieve meaningful progress.